An interview is your last chance to show an employer your the one for the job. With reaching this stage, an employer already thinks you got potential along with the others selected for interview. Your interview could be a formal one which most are or informal which means it is an oral interview which can be arranged at any place. Different questions are asked to collect the required information from the candidate. Specific rigid procedure is not followed. It is a friendly interview. What is an job interview???? A job interview is a meeting organised by a recruiter used to evaluate a potential employee for prospective employment at a company. 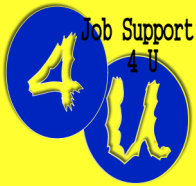 It allows an employer to meet you for a first time and assess if you are ideal not only for the job but company too. You will be asked a lot of questions and the employer will assess your answers to evaluate your suitability against the other interviewees.